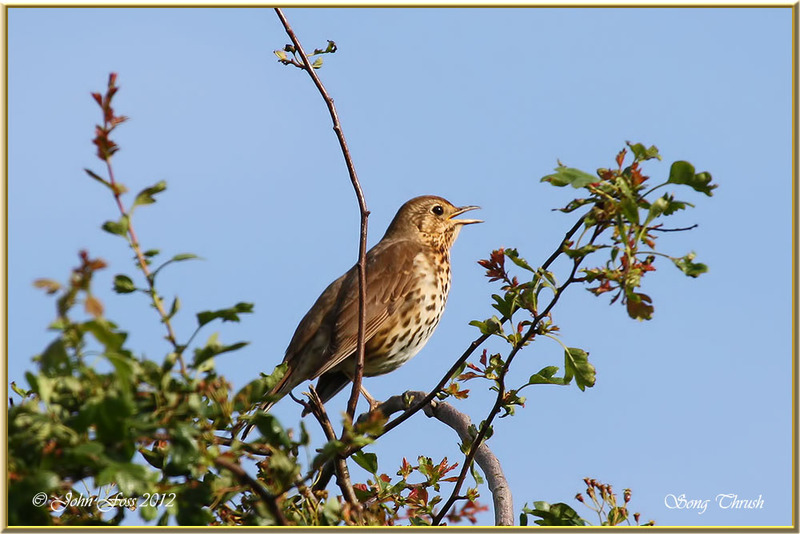 Song Thrush - This used to be a common garden bird throughout Britain and Ireland, but sadly the numbers are declining dramatically. 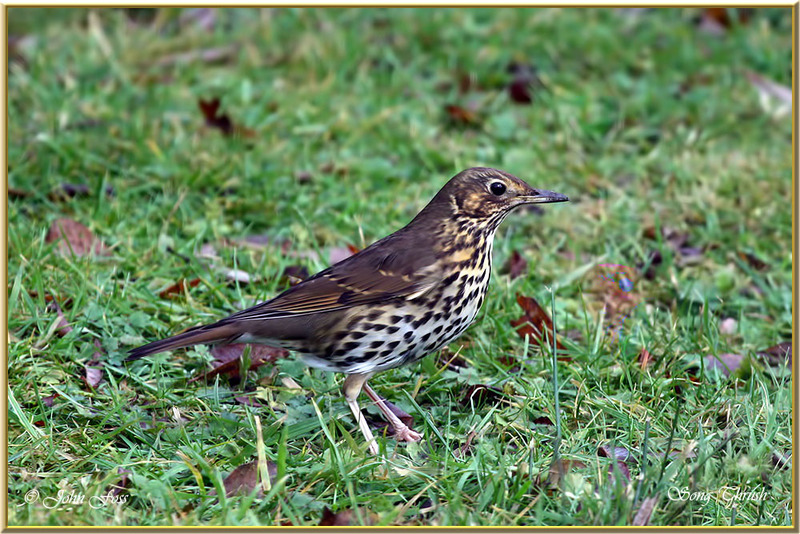 One sign of Song Thrushes nearby are smashed snail shells in the garden. 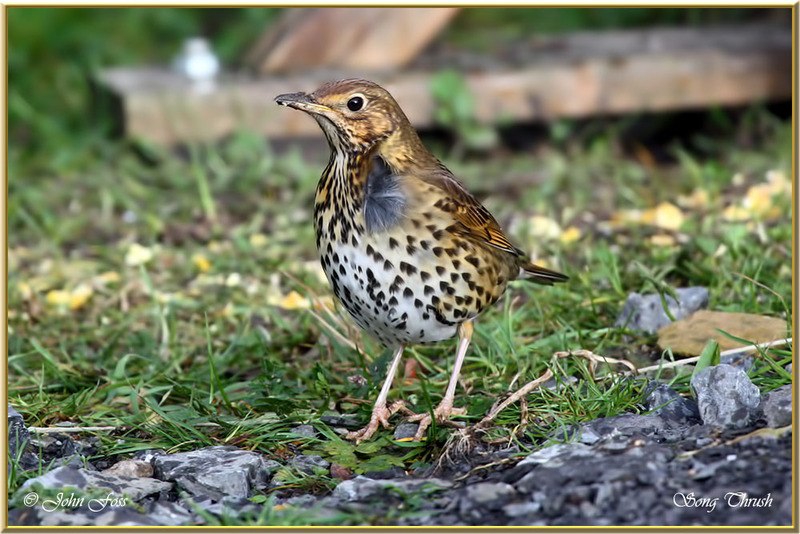 The Song Thrush sometimes uses a rock on which to do this. A gardeners friend. 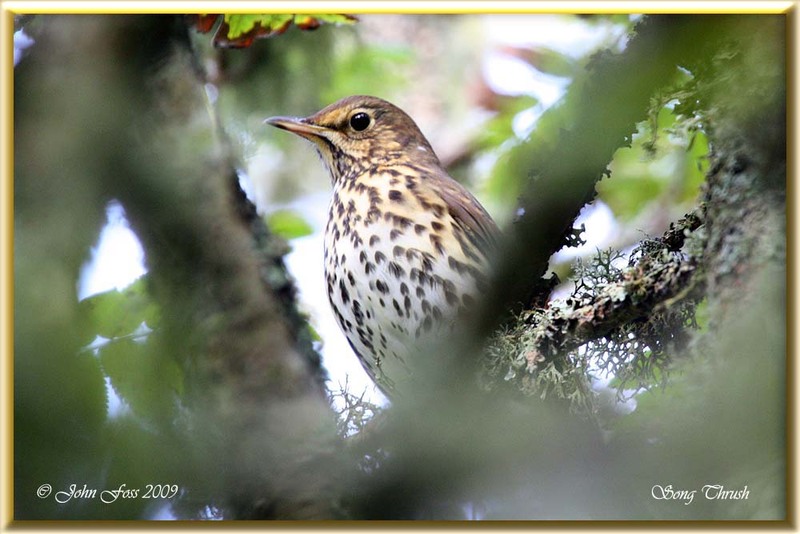 Glad to see these in my garden at Greaghnafarna Co. Leitrim.